Having a great workflow when working on any project is for me the number 1 secret to getting sh*t done, Simplifying your processes from start to end can not only make your time in the studio stress-free but will also improve your ability to churn out projects like your life depended on it. Today you’ll learn 5 simple Logic Pro X Workflow Tips I use over and over again to knock up between 5 and 10 projects a week.Through proper implementation and applying these actionable tips, you’ll sh*t bricks and become a millionaire by next week! #forrealzEnough of the generic blah blah intro, this is just how I work. By now, I should hope you’re smart enough to know that the Space Bar allows you to start and stop playback in Logic Pro X.What if you want to play from a selected region though?Also, what if a Cycle is set and on?Don’t be a fool, remember to add the Shift key before you press the spacebar and playback will begin from the region you’ve selected.If you use the Marquee tool often, you can do this by simply selecting the area and pressing play. Often, quantizing automation can be helpful for tightening up messy takes.Want a more blocked feel for your filter cutoff automation? You can!First, open the Event List by pressing the D key on your Mac’s keyboard.Switch to the Automation Select tool, put a box around all of the automation you want to quantize. The Event List will now display all the Automation nodes in the list. From the Quantize menu in the Event window select a value like 1/4 notes. Only have a single MIDI slider in your controller but want to control any parameter?Have a tonne of slider and knobs but don’t know or care what to do with them? Do it all with one single controller then!Logic’s Automation Quick Access is for you. From the Mix, menu select “Enable Automation Quick Access.” Click “Assign” in the window that appears, and the Automation Preferences window will come up.Simply move the controller you want to use, then press the “Done” button. You can now record any automation that is currently selected on the track. Another important consideration for anyone working on intensive projects is that the default Automation Latency options may well cause problems.If you’re drawing or recording automation accurately but hearing it play back early or late, head to Preferences within the Logic Pro X menu and select Audio.Here, click the General tab and ensure that, from the top drop-down menu named Sample Accurate Automation, you’ve selected Volume, Pan, Sends, Plug-In Parameters. If there is a particular sound or channel strip that you want to import from one project to another, click the Media Browser button in the top right-hand corner of the Control Bar.Click All Files and use the ‘computer monitor’ button to navigate to wherever that Logic project resides. 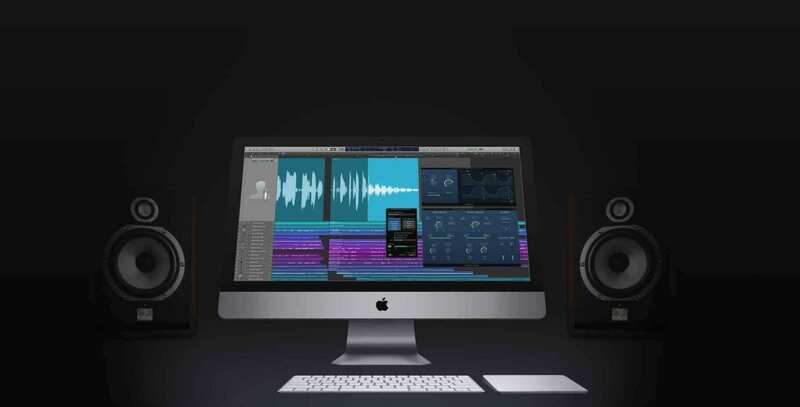 Double-click on its name and, rather than opening as a new song, it will display each track of that project, complete with instrument and effects settings.You can click the checkbox(es) of the sound(s) you want and, if you want the MIDI notes or audio files, the Content button, too. Click Add to bring them into your current project.